It’s been a while since the last post here. In compensation, it’s not been a bad year in terms of getting some research out there. First, we finally managed to publish “Civic Tech in the Global South: Assessing Technology for the Public Good.” With a foreword by Beth Noveck, the book is edited by Micah Sifry and myself, with contributions by Evangelia Berdou, Martin Belcher, Jonathan Fox, Matt Haikin, Claudia Lopes, Jonathan Mellon and Fredrik Sjoberg. The book is comprised of one study and three field evaluations of civic tech initiatives in developing countries. The study reviews evidence on the use of twenty-three information and communication technology (ICT) platforms designed to amplify citizen voices to improve service delivery. Focusing on empirical studies of initiatives in the global south, the authors highlight both citizen uptake (yelp) and the degree to which public service providers respond to expressions of citizen voice (teeth). The first evaluation looks at U-Report in Uganda, a mobile platform that runs weekly large-scale polls with young Ugandans on a number of issues, ranging from access to education to early childhood development. The following evaluation takes a closer look at MajiVoice, an initiative that allows Kenyan citizens to report, through multiple channels, complaints with regard to water services. The third evaluation examines the case of Rio Grande do Sul’s participatory budgeting – the world’s largest participatory budgeting system – which allows citizens to participate either online or offline in defining the state’s yearly spending priorities. While the comparative study has a clear focus on the dimension of government responsiveness, the evaluations examine civic technology initiatives using five distinct dimensions, or lenses. The choice of these lenses is the result of an effort bringing together researchers and practitioners to develop an evaluation framework suitable to civic technology initiatives. The book was a joint publication by The World Bank and Personal Democracy Press. You can download the book for free here. The growing access to digital technologies has been considered by democratic scholars and practitioners as a unique opportunity to promote participatory governance. Yet, if the last two decades is the period in which connectivity has increased exponentially, it is also the moment in recent history that democratic growth has stalled and civic spaces have shrunk. While the full potential of “civic technologies” remains largely unfulfilled, understanding the extent to which they may further democratic goals is more pressing than ever. This is precisely the task undertaken in this original and methodologically innovative research. The authors examine online petitions which, albeit understudied, are one of the fastest growing types of political participation across the globe. Drawing from an impressive dataset of 3.9 million signers of online petitions from 132 countries, the authors assess the extent to which online participation replicates or changes the gaps commonly found in offline participation, not only with regards to who participates (and how), but also with regards to which petitions are more likely to be successful. The findings, at times counter-intuitive, provide several insights for democracy scholars and practitioners alike. The authors hope this research will contribute to the larger conversation on the need of citizen participation beyond electoral cycles, and the role that technology can play in addressing both new and persisting challenges to democratic inclusiveness. But what do we find? Among other interesting things, we find that while women create fewer online petitions than men, they’re more successful at it! This article in the Washington Post summarizes some of our findings, and you can download the full study here. We still plan to publish a few more studies this year, one looking at digitally-enabled get-out-the-vote (GOTV) efforts, and two others examining the effects of participatory governance on citizens’ willingness to pay taxes (including a fun experiment in 50 countries across all continents). In the meantime, if you are interested in a quick summary of some of our recent research findings, this 30 minutes video of my keynote at the last TicTEC Conference in Florence should be helpful. It’s been a while, so here’s a miscellaneous post with things I would normally share on DemocracySpot. Yesterday the beta version of the Open Government Research Exchange (OGRX) was launched. Intended as a hub for research on innovations in governance, the OGRX is a joint initiative by NYU’s GovLab, MySociety and the World Bank’s Digital Engagement Evaluation Team (DEET) (which, full disclosure, I lead). As the “beta” suggests, this is an evolving project, and we look forward to receiving feedback from those who either work with or benefit from research in open government and related fields. You can read more about it here. Today we also launched the Open Government Research mapping. Same story, just “alpha” version. There is a report and a mapping tool that situates different types of research across the opengov landscape. Feedback on how we can improve the mapping tool – or tips on research that we should include – is extremely welcome. More background about this effort, which brings together Global Integrity, Results for Development, GovLAB, Results for Development and the World Bank, can be found here. Also, for those who have not seen it yet, the DEET team also published the Ev aluation Guide for Digital Citizen Engagement a couple of months ago. Commissioned and overseen by DEET, the guide was developed and written by Matt Haikin (lead author), Savita Bailur, Evangelia Berdou, Jonathan Dudding, Cláudia Abreu Lopes, and Martin Belcher. A field experiment in Rural Kenya finds that “elite control over planning institutions can adapt to increased mobilization and participation.” I tend to disagree a little with the author’s conclusion that emphasizes the role of “power dynamics that allow elites to capture such institutions” to explain his findings (some of the issues seem to be a matter of institutional design). In any case, it is a great study and I strongly recommend the reading. A study examining a community-driven development program in Afghanistan finds a positive effect on access to drinking water and electricity, acceptance of democratic processes, perceptions of economic wellbeing, and attitudes toward women. However, effects on perceptions of government performance were limited or short-lived. A great paper by Paolo de Renzio and Joachim Wehner reviews the literature on “The Impacts of Fiscal Openness”. It is a must-read for transparency researchers, practitioners and advocates. I just wish the authors had included some research on the effects of citizen participation on tax morale. Also related to tax, “Consumers as Tax Auditors” is a fascinating paper on how citizens can take part in efforts to reduce tax evasion while participating in a lottery. Here is a great book about e-Voting and other technology developments in Estonia. Everybody working in the field of technology and governance knows Estonia does an amazing job, but information about it is often scattered and, sometimes, of low quality. This book, co-authored by my former colleague Kristjan Vassil, addresses this gap and is a must-read for anybody working with technology in the public sector. Finally, I got my hands on the pictures of the budget infograffitis (or data murals) in Cameroon, an idea that emerged a few years ago when I was involved in a project supporting participatory budgeting in Yaoundé (which also did the Open Spending Cameroon). I do hope that this idea of bringing data visualizations to the offline world catches up. After all, that is valuable data in a citizen-readable format. I guess that’s it for now. The World Development Report 2016, the main annual publication of the World Bank, is out. This year’s theme is Digital Dividends, examining the role of digital technologies in the promotion of development outcomes. The findings of the WDR are simultaneously encouraging and sobering. Those skeptical of the role of digital technologies in development might be surprised by some of the results presented in the report. Technology advocates from across the spectrum (civic tech, open data, ICT4D) will inevitably come across some facts that should temper their enthusiasm. While some may disagree with the findings, this Report is an impressive piece of work, spread across six chapters covering different aspects of digital technologies in development: 1) accelerating growth, 2) expanding opportunities, 3) delivering services, 4) sectoral policies, 5) national priorities, 6) global cooperation. My opinion may be biased, as somebody who made some modest contributions to the Report, but I believe that, to date, this is the most thorough effort to examine the effects of digital technologies on development outcomes. The full report can be downloaded here. The report draws, among other things, from 14 background papers that were prepared by international experts and World Bank staff. These background papers serve as additional reading for those who would like to examine certain issues more closely, such as social media, net neutrality, and the cybersecurity agenda. This paper reviews evidence on the use of 23 information and communication technology (ICT) platforms to project citizen voice to improve public service delivery. This meta-analysis focuses on empirical studies of initiatives in the global South, highlighting both citizen uptake (‘yelp’) and the degree to which public service providers respond to expressions of citizen voice (‘teeth’). The conceptual framework further distinguishes between two trajectories for ICT-enabled citizen voice: Upwards accountability occurs when users provide feedback directly to decision-makers in real time, allowing policy-makers and program managers to identify and address service delivery problems – but at their discretion. Downwards accountability, in contrast, occurs either through real time user feedback or less immediate forms of collective civic action that publicly call on service providers to become more accountable and depends less exclusively on decision-makers’ discretion about whether or not to act on the information provided. This distinction between the ways in which ICT platforms mediate the relationship between citizens and service providers allows for a precise analytical focus on how different dimensions of such platforms contribute to public sector responsiveness. These cases suggest that while ICT platforms have been relevant in increasing policymakers’ and senior managers’ capacity to respond, most of them have yet to influence their willingness to do so. Any feedback on our paper or models proposed (see below, for instance) would be extremely welcome. The other day during a talk with researcher Tanya Lokot I heard an interesting story from Russia. 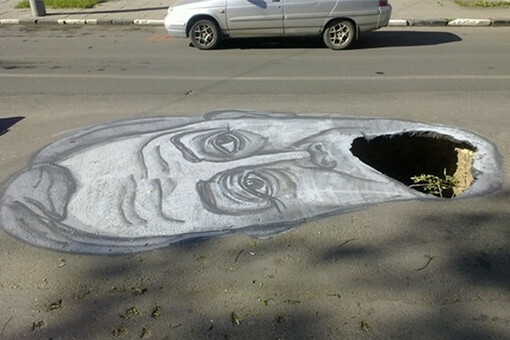 Disgusted with the state of their streets, activists started painting caricatures of government officials over potholes. 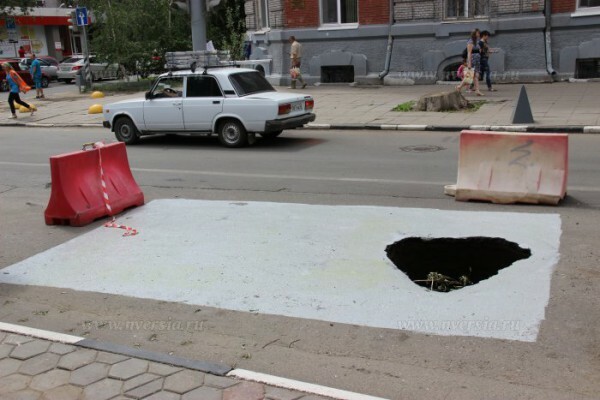 Later on, following increased media attention – and some unexpected turnarounds – the pothole got fixed. That reminded me of a recurrent theme in some conversations I have, which refers to whether praising and shaming matters to civic tech and, if so, to which extent. To stay with two classic examples, think of solutions such as FixMyStreet and SeeClickFix, through which citizens publically report problems to the authorities. Some could argue that hypothesis 3 is the most likely to be true, with some governments leaning more towards one reason to respond than others. Yet, the problem is that we know very little about these hypotheses, if anything. In other words – to my knowledge – we do not know whether making reports through these platforms public makes any difference whatsoever when it comes to governments’ responsiveness. Some might consider this as a useless academic exercise: as long as these tools work, who cares? But I would argue that the answer that questions matters a lot when it comes to the design of similar civic tech initiatives that aim to prompt government to action. Let’s suppose that we find that all else equal governments are significantly more responsive to citizen reports when these are publically displayed. This would have importance both in terms of process and technological design. In terms of process, for instance, civic tech initiatives would probably be more successful if devoting part of their resources to amplify the visibility of government action and inaction (e.g. through local media). Conversely, from a technological standpoint, designers should devote substantive more effort on interfaces that maximizes praising and shaming of governments based on their performance (e.g. rankings, highlighting pending reports). Conversely, we might find that publicizing reports have very little effect in terms of responsiveness. In that case, more work would be needed to figure out which other factors – beyond will and capacity – play a role in government responsiveness (e.g. quality of reports). Most likely, praising and shaming would depend on a number of factors such as political competition, bureaucratic autonomy, and internal performance routines. But a finer understanding of that would not only bear an impact on the civic tech field, but across the whole accountability landscape. To date, we know very little about it. Yet, one of the untapped potential of civic technology is precisely that of conducting experiments at lowered costs. For instance, conducting randomized controlled trials on the effects on the publicization of government responsiveness should not be so complicated (e.g effects of rankings, amplifying visibility of unfixed problems). Add to that analysis of existing systems’ data from civic tech platforms, and some good qualitative work, and we might get a lot closer at figuring out what makes politicians and civil servants’ “tick”. Until now, behavioral economics in public policy has been mainly about nudging citizens toward preferred choices. Yet it may be time to start also working in the opposite direction, nudging governments to be more responsive to citizens. Understanding whether praising and shaming works (and if so, how and to what extent) would be an important step in that direction. This blog has been slow lately, but as I mentioned before, it is for a good cause. With some great colleagues I’ve been working on a series of papers (and a book) on civic technology. The first three of these papers are out. There is much more to come, but in the meantime, you can find below the abstracts and link to each of the papers. I also add the link to a presentation which highlights some other issues that we are looking at. Effects of the Internet on Participation: Study of a Public Policy Referendum in Brazil. Does online voting mobilize citizens who otherwise would not participate? During the annual participatory budgeting vote in the southern state of Rio Grande do Sul in Brazil – the world’s largest – Internet voters were asked whether they would have participated had there not been an online voting option (i-voting). The study documents an 8.2 percent increase in total turnout with the introduction of i-voting. In support of the mobilization hypothesis, unique survey data show that i-voting is mainly used by new participants rather than just for convenience by those who were already mobilized. The study also finds that age, gender, income, education, and social media usage are significant predictors of being online-only voters. Technology appears more likely to engage people who are younger, male, of higher income and educational attainment, and more frequent social media users. The Effect of Government Responsiveness on Future Political Participation. What effect does government responsiveness have on political participation? Since the 1940s political scientists have used attitudinal measures of perceived efficacy to explain participation. More recent work has focused on underlying genetic factors that condition citizen engagement. We develop a ‘Calculus of Participation’ that incorporates objective efficacy – the extent to which an individual’s participation actually has an impact – and test the model against behavioral data from FixMyStreet.com (n=399,364). We find that a successful first experience using FixMyStreet.com (e.g. reporting a pothole and having it fixed) is associated with a 54 percent increase in the probability of an individual submitting a second report. We also show that the experience of government responsiveness to the first report submitted has predictive power over all future report submissions. The findings highlight the importance of government responsiveness for fostering an active citizenry, while demonstrating the value of incidentally collected data to examine participatory behavior at the individual level. Do Mobile Phone Surveys Work in Poor Countries? In this project, we analyzed whether mobile phone-based surveys are a feasible and cost-effective approach for gathering statistically representative information in four low-income countries (Afghanistan, Ethiopia, Mozambique, and Zimbabwe). Specifically, we focused on three primary research questions. First, can the mobile phone survey platform reach a nationally representative sample? Second, to what extent does linguistic fractionalization affect the ability to produce a representative sample? Third, how effectively does monetary compensation impact survey completion patterns? We find that samples from countries with higher mobile penetration rates more closely resembled the actual population. After weighting on demographic variables, sample imprecision was a challenge in the two lower feasibility countries (Ethiopia and Mozambique) with a sampling error of /- 5 to 7 percent, while Zimbabwe’s estimates were more precise (sampling error of /- 2.8 percent). Surveys performed reasonably well in reaching poor demographics, especially in Afghanistan and Zimbabwe. Rural women were consistently under-represented in the country samples, especially in Afghanistan and Ethiopia. Countries’ linguistic fractionalization may influence the ability to obtain nationally representative samples, although a material effect was difficult to discern through penetration rates and market composition. Although the experimentation design of the incentive compensation plan was compromised in Ethiopia and Zimbabwe, it seems that offering compensation for survey completion mitigated attrition rates in several of the pilot countries while not reducing overall costs. These effects varied across countries and cultural settings. We investigate the impact of the diffusion of high-speed Internet on different forms of political participation, using data from Italy. We exploit differences in the availability of ADSL broadband technology across municipalities, using the exogenous variation induced by the fact that the cost of providing ADSL-based Internet services in a given municipality depends on its relative position in the pre-existing voice telecommunications infrastructure. We ﬁrst show that broadband Internet had a substantial negative effect on turnout in parliamentary elections between 1996 and 2008. However, we also ﬁnd that it was positively associated with other forms of political participation, both online and ofﬂine: the emergence of local online grassroots protest movements, and turnout in national referenda (largely opposed by mainstream parties). 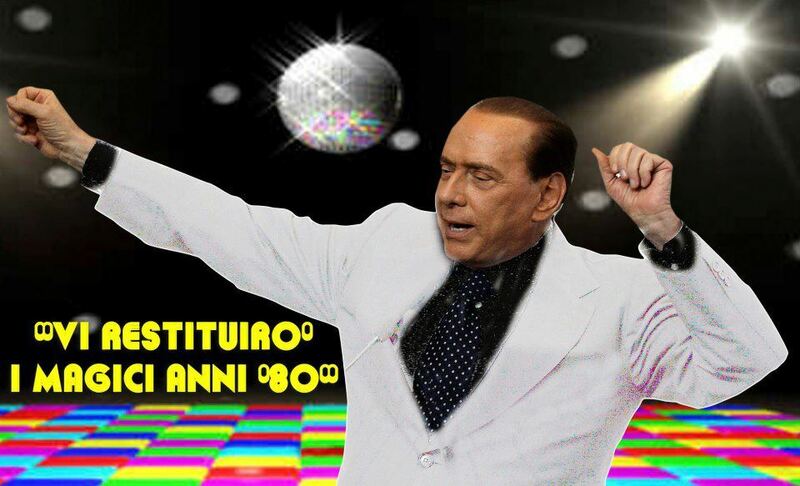 We then show that the negative effect of Internet on turnout in parliamentary elections is essentially reversed after 2008, when the local grassroots movements coalesce into the Five-Star Movement (M5S) electoral list. Our ﬁndings are consistent with the view that: 1) The effect of Internet availability on political participation changes across different forms of engagement; 2) It also changes over time, as new political actors emerge who can take advantage of the new technology to tap into the existence of a disenchanted or demobilized contingent of voters; and 3) These new forms of mobilization eventually feed back into the mainstream electoral process, converting “exit” back into “voice”. Read full paper here [PDF].